As another school year begins, the Michigan DNR provides numerous opportunities to help teachers make valuable connections between the state’s natural and cultural resources and students of all ages. “Throughout many lessons, I would hear, ‘I've seen that animal before’ or ‘I'm going to look for that animal tonight when I get home,’" Simpson said. 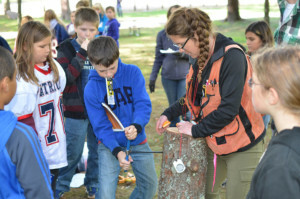 A student takes a crack at coring a tree during a Forestry Field Day event at Presque Isle Park in Marquette County. 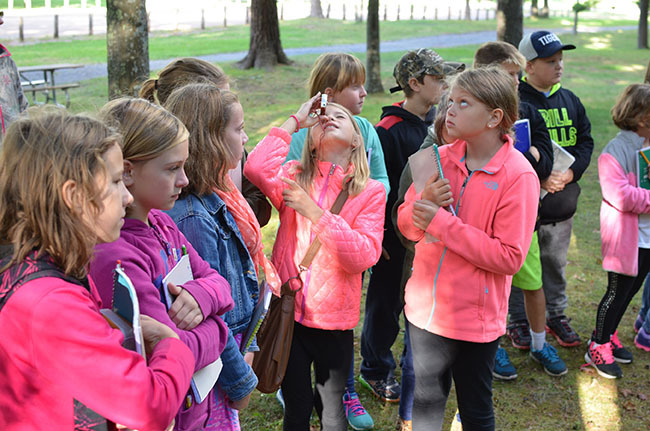 Aspen Ridge fifth-grader Kendra Scherer tries to determine the height of a tree by gazing through a clinometer, while classmate Athena Kinnunen follows the line of sight. 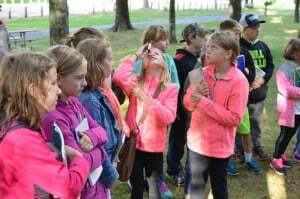 Students Madelyn Reader, Ella Brand and Catherine Bartanen are also pictured, from left.